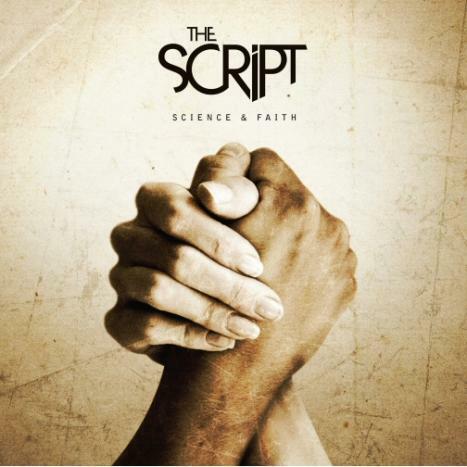 Science & Faith is the second studio album by Irish alternative rock band The Script, a band known for great storytelling through song and impeccable instrumental fusion. The album was released on 10 September 2010 via RCA Records and it debuted at number three on the Billboard 200 with 49,000 copies sold in their first week. The hugely successful album, which has sold over 1.5 million copies, received mixed reviews from major critics. Before I go on however, I do apologize as this album review is about 3 years too late. But as the saying goes, “Better late than never”! Science & Faith debuted at a very opportune moment in time when generic pop and rock albums seemed to be flooding the airwaves. This indirectly helped the album and made it seem a whole lot more unique than it actually is. Anyone who has heard The Script’s previous album, The Script will clearly see how similar it is to Science & Faith. However, I can honestly say that no matter how similar this album is to their debut album, Science & Faith is much more refined. When it comes to technicality, The Script did a great job with this album and the vocals blend with the instrumentals very well. In fact, only 2 of the 10 songs — 'Walk Away' and 'Nothing' - did not live up to my expectations but even these weren’t too bad, they just weren’t as creatively impressive as the rest of the album. When listening to music, lyrics that have meaning or that captivate us (instead of mindless repetitive words) is an especially good selling point. In terms of lyrics, I think Science & Faith did a magnificent job. Though their theme of love and heartbreak was has been rather overused, The Script soared past this hurdle by truly pushing the past boundaries, and the lyrics for Science & Faith did not seem at all recycled. In fact, they were refreshing and emotionally charged. The stand out for me was 'Dead Man Walking' because the lyrics of the track are extremely powerful, heart-wrenching and open to interpretation. If you listen to music for its lyrics, you will definitely enjoy Science & Faith. The Script is unique in the way they manage to incorporate pop, rock and even rap into their songs with great balance. This is especially showed in Science & Faith, as the album in its entirety is neither overpowering nor underwhelming. The album thrives in terms of consistency and the stand out song in this category is the namesake of the album itself, 'Science & Faith'. This song is in my opinion, is the most all-rounded track in the album by being very contemporary while retaining that classic love song feel. Finally, the category in which The Script knocked this album out of the park — storytelling. Science & Faith is a masterclass of storytelling and the level of emotion contained in this album is remarkable. Major credit has to go to Danny O’Donoghue for his emotionally charged vocals and technically sound performance. From sadness to depression to pain, this album takes your heart on a downhill roller coaster ride, and I for one, could ride it a thousand times. Overall, The Script struck gold with Science & Faith and the album truly represents what the band is all about. What I find most interesting about this album is that every song describes a part of a journey and it is amazing to see how these all come together into one big tale of heartbreak. A well deserved 4/5 stars indeed. The rock band is known by their well known script "THE SCIENCE & FAITH" according to their mindset the want to show as clearly see how similar it is to Science & Faith. Faith has a relation with science in a manner to achieve the scientific achievement, faith is thing which is need to be prominent during the dedicated work, Science includes the sub-part where education plays an important role, through which you can easily go for life experience college degree. And to have faith in your decisions its would become the best of your life. good The video exports are also readily available right into Viva Video Pro APK APK for all Android phones/tablets absolutely great. There are lots of benefits which you could get if you utilize. visit this site Trigger her interest and she'll review the remainder of your profile. we are going to share some of the most important information regarding Chase Bank Login. Americanexpress.com/confirmcard is online portal for Amex card confirmation provided by American express officially. get the solution for each and every problem and also get the answer for every sort of question. Want to know the customer service phone numbers of companies that works? Try 1800numbers.online and you will get much more than that. sweepstakesguide lists latest free sweepstakes, contests and giveaways. Enter the best online community to win cash, gifts and other dream prizes. sweepstakesguide is your complete guide to Online Opinion and Feedback Surveys. Have you heard about, Myaarpmedicare and eager to join the membership plan of it. Medicare is going to give its members a huge reward in this season. So, if you want to be the part of that reward win and become the member of myaarpmedicare. Want to share the latest Eid Mubarak Message to your friends?